The tutorial includes plenty of photos along with the videos. The stitch pattern is great for cozy afghans, bags and other accessories. Crochet it in a solid color as shown, or get your stash out and crochet it in beautiful rainbow colors. The above piece was crocheted using worsted weight yarn and an H crochet hook. 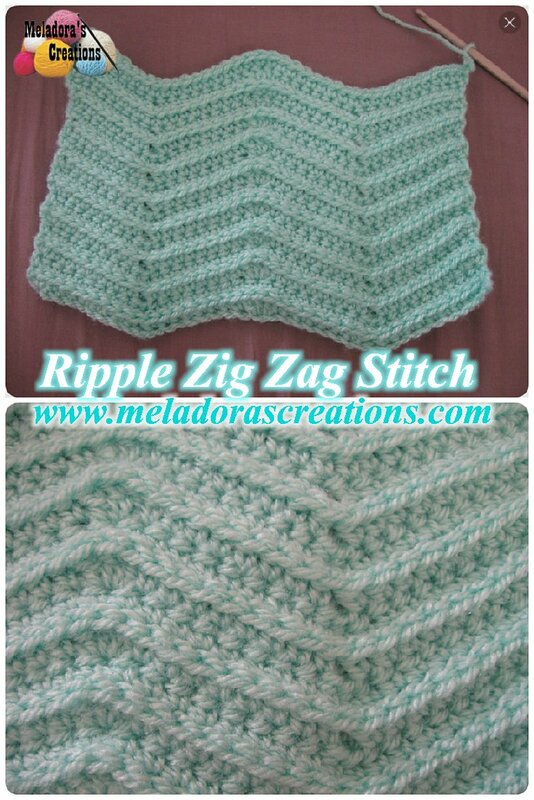 However, I would imagine this gorgeous ripple pattern would work with many other yarns as well.